A cropped section of the original frame. 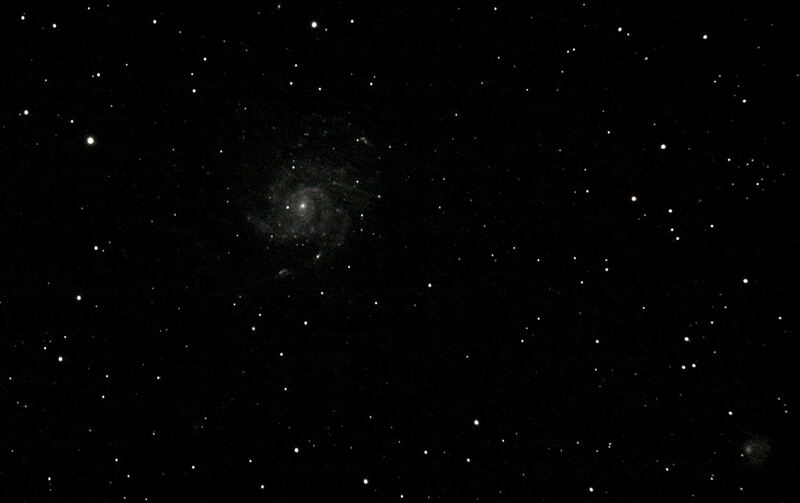 M101, the Pinwheel Galaxy in Ursa Major, taken with 29 x 60s frames. This is my 3rd or 4th shot at this target, and each time I have taken more frames, and wished I had stayed up later to grab some more. Maybe 60 next time?! 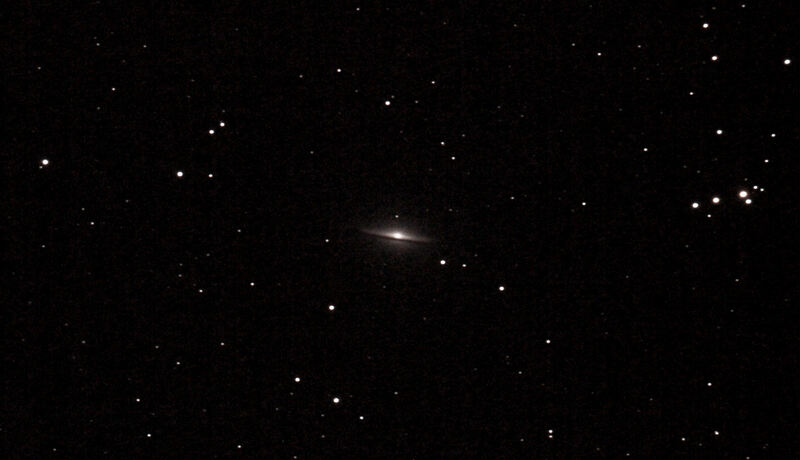 My first image of the M104 Sombrero galaxy in Virgo, taken with 16 x 60s frames at ISO 800. 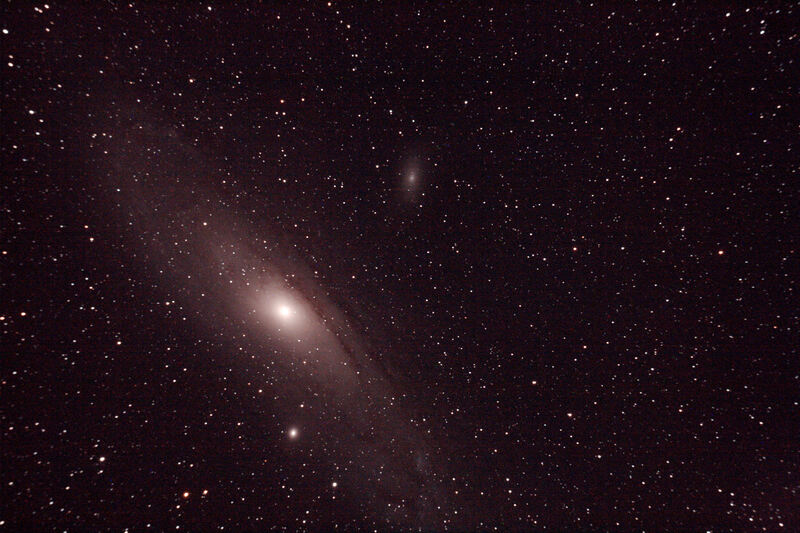 M64 in Coma, taken with 13 x 60s light frames and 4 x 60s darks, at ISO 800. It needs more exposure time, and I need to find some larger targets now that I have the GT81s field of view. 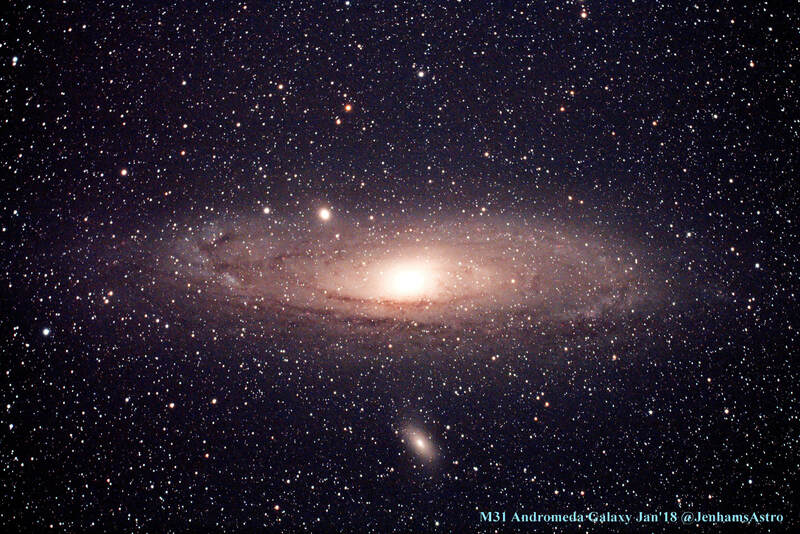 M31 Andromeda Galaxy. This shot was a quick test of the new WO GT81. It was made from 3 frames of 90s, at ISO 800. No dark frames (I clean forgot in all my excitement). M51 Whirpool Galaxy. The classic face-on spiral, the Whirlpool in the constellation of Canes Venatici can be glimpsed visually in a small refractor under decent skies. I need to revisit it as an imaging target. With the WO Megrez 90 and about 30 minutes of sub-frames, it is still ill-defined. ‘Always worth another go! 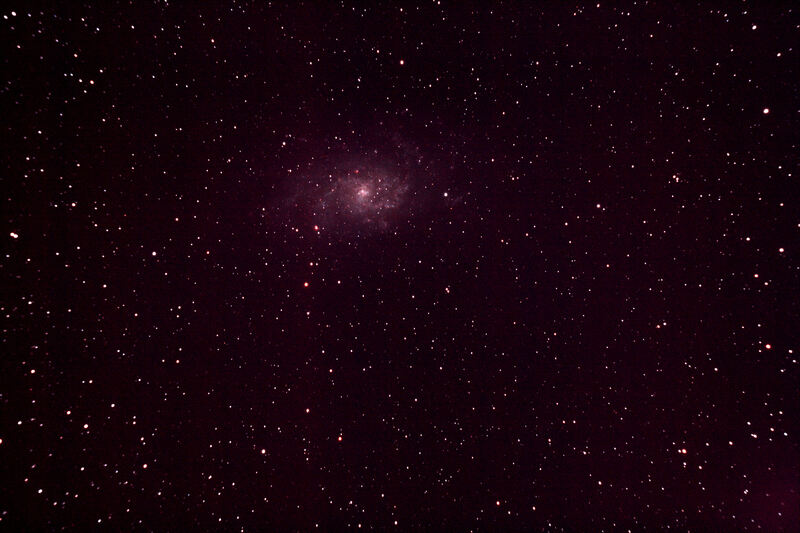 M33 Triangulum Galaxy. This shot used 20 x 90s frames at ISO 800. As usual I got a bit lost in Paint Shop Pro, and had to try several times to produce an image with some colour that didn’t look too strange. The galaxy turned out to be a better imaging target than I had originally thought. 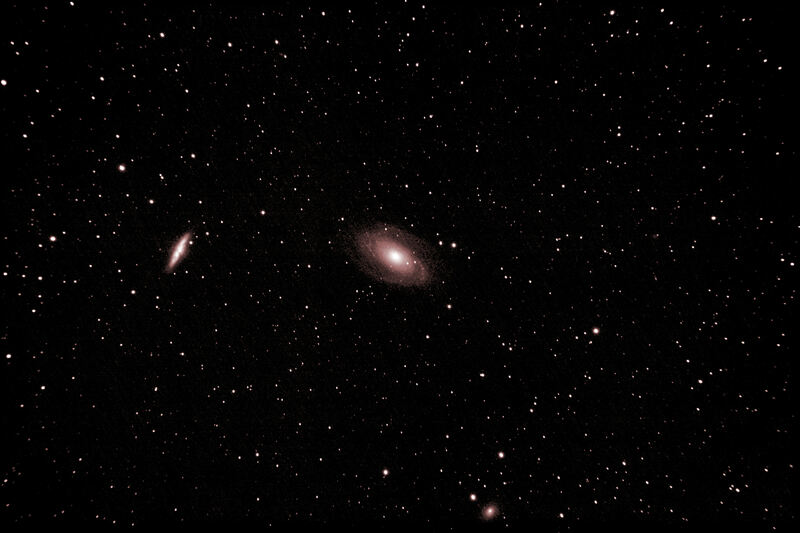 M81 (aka Bode’s Galaxy) and M82 (aka the Cigar Galaxy) in Ursa Major. Easy to find and interesting to view or image.